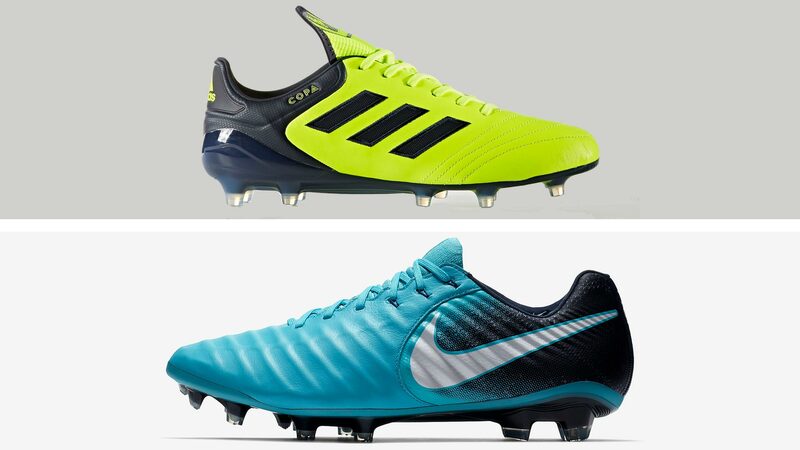 Take Your Pick: Nike Fire and Ice or Adidas Ocean and Pyro Storm? Released today, Nike’s Fire and Ice pack drapes its top boot models in scorching reds and glacial blues — reminiscent of Adidas’ Ocean and Pyro Storm boots that dropped earlier this year. 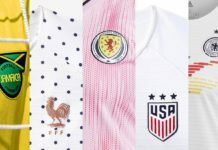 In the ever-growing rivalry between the Swoosh and Three Stripes, we take a closer look at both packs to see just how similar they are. Messi vs. Ronaldo. 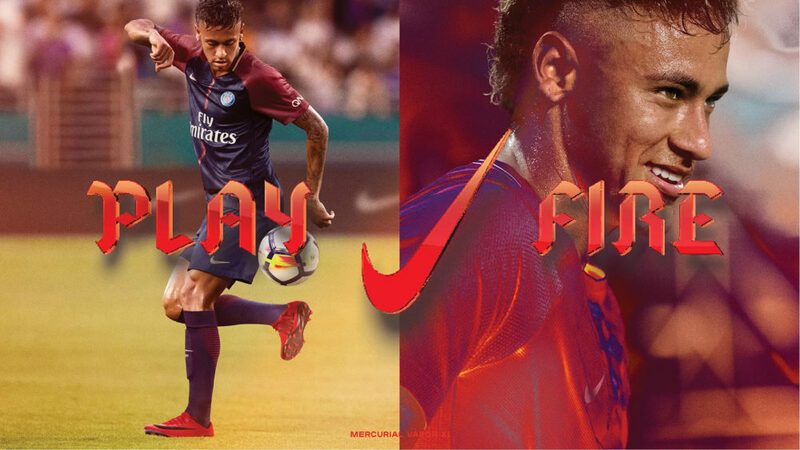 Neymar vs. Pogba. 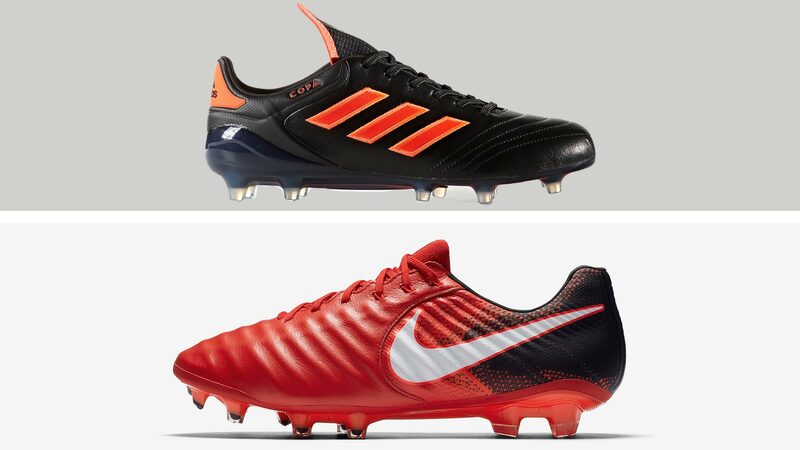 Nike vs. Adidas. 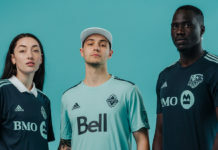 The two global sportswear giants have been increasingly at each other’s necks, especially with the recent growth in Adidas’ sales. 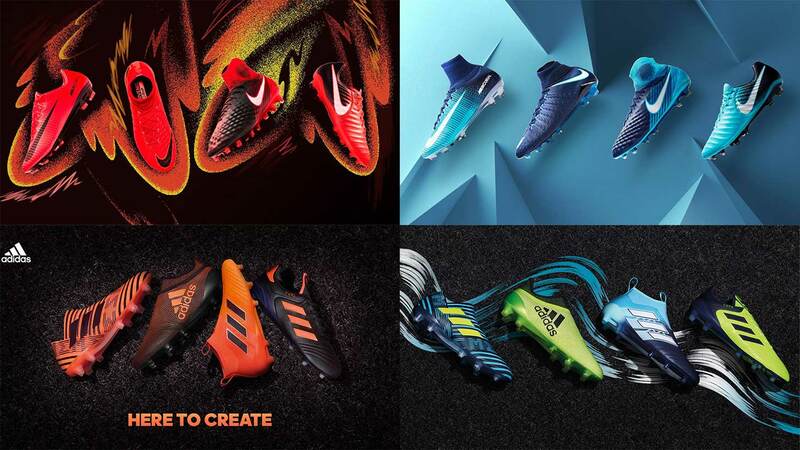 Although Nike continues to out earn Adidas, the Three Stripes have long had a stronghold in the football world. 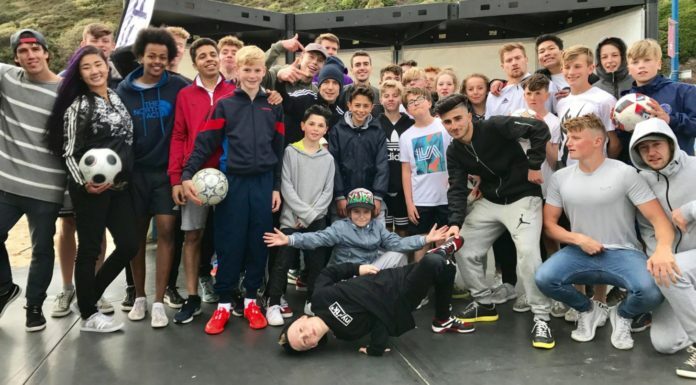 The back-and-forth dynamic of the two iconic brands has led to similar campaigns, whether they target the same demographic, or come out with similar releases. In this case, the latter is true, as Nike’s latest Fire and Ice pack bares a striking resemblance to the Adidas Pyro and Ocean Storm releases from this past summer. 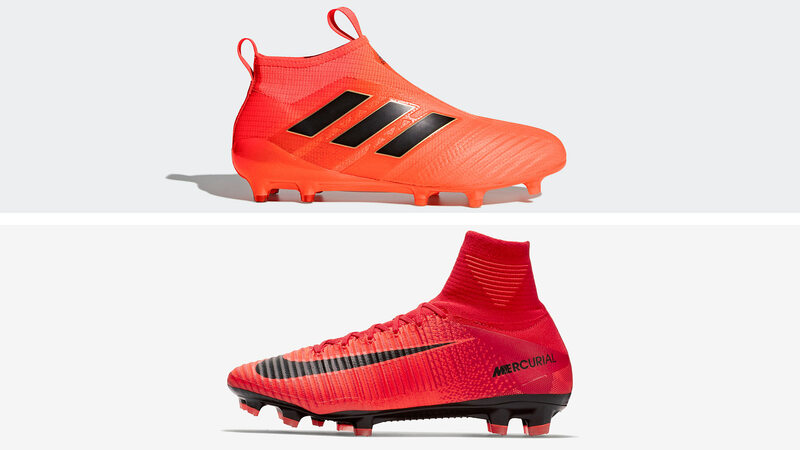 The Fire and Ice pack sees Nike’s top-flight boots, consisting of the Mercurial, Hypervenom, Tiempo, and Magista, decked out in — you guessed it — fiery red and icy blue colorways. 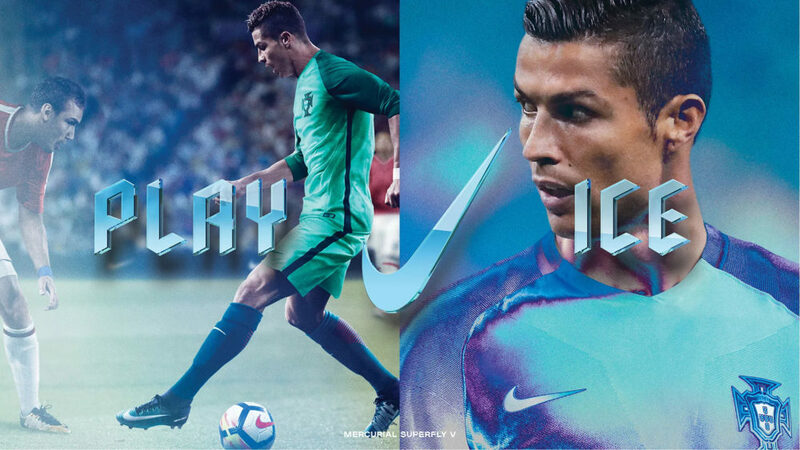 On the pitch, Ronaldo will be donning the Ice model of the Mercurial Superfly, while Neymar will sport the Fire version of the Mercurial Vapor. 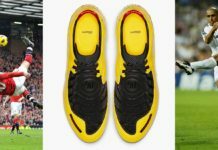 While the boots certainly share a comparable concept with the previously released Adidas models, subtle differences in the color schemes might be enough to prevent critics from accusing Nike of copycatting. However, it’s hard to deny the similarity of both packs, which begs the question — who did it better? 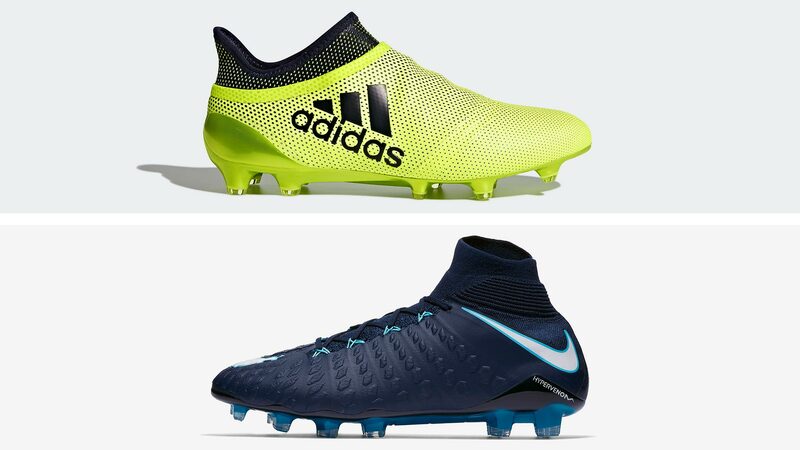 Nike or Adidas? You decide for yourself. 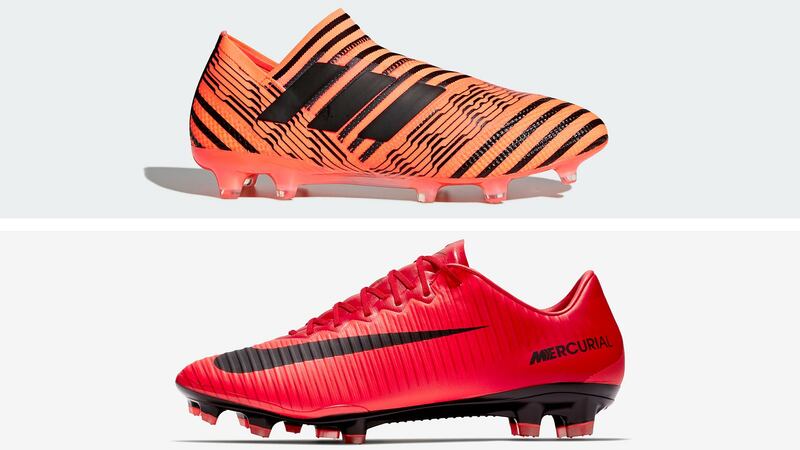 Adidas Nemeziz+ 360 ‘Pyro Storm’ vs. Nike Mercurial Vapor XI ‘Fire’. 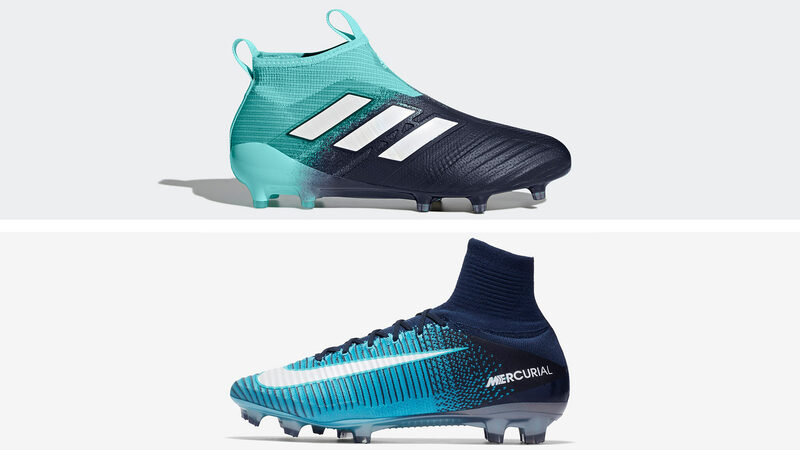 Adidas Nemeziz+ 360 ‘Ocean Storm’ vs. Nike Mercurial Vapor XI ‘Ice’. 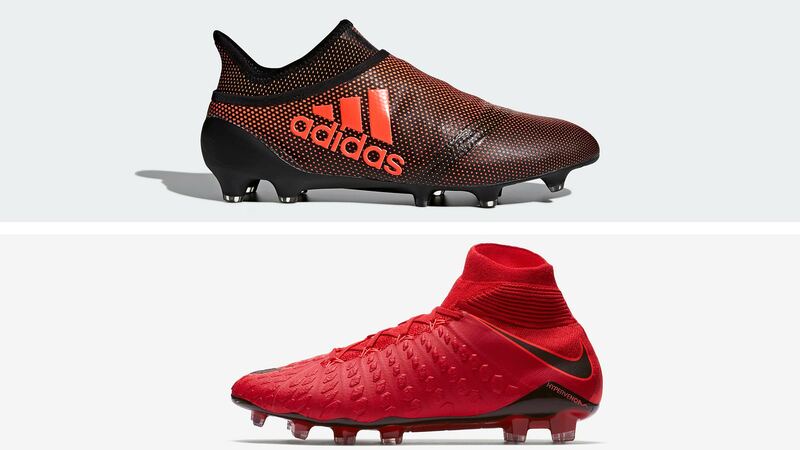 Adidas Ace 17+ “Pyro Storm” vs. Nike Mercurial Superfly V “Fire”. 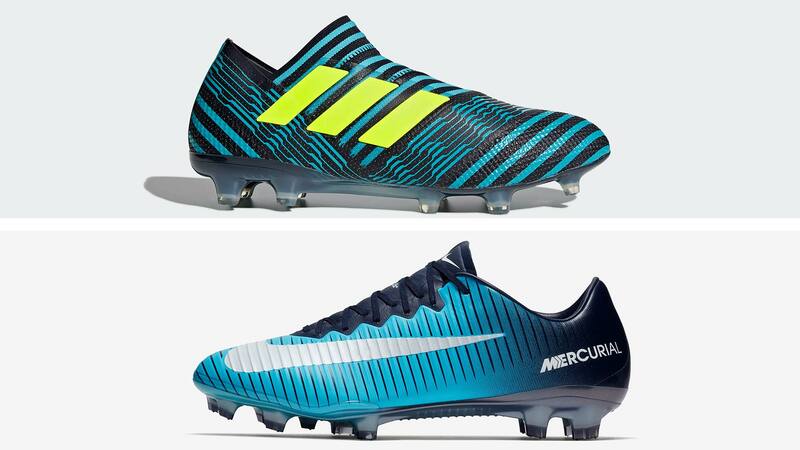 Adidas Ace 17+ ‘Ocean Storm’ vs. Nike Mercurial Superfly V ‘Ice’. 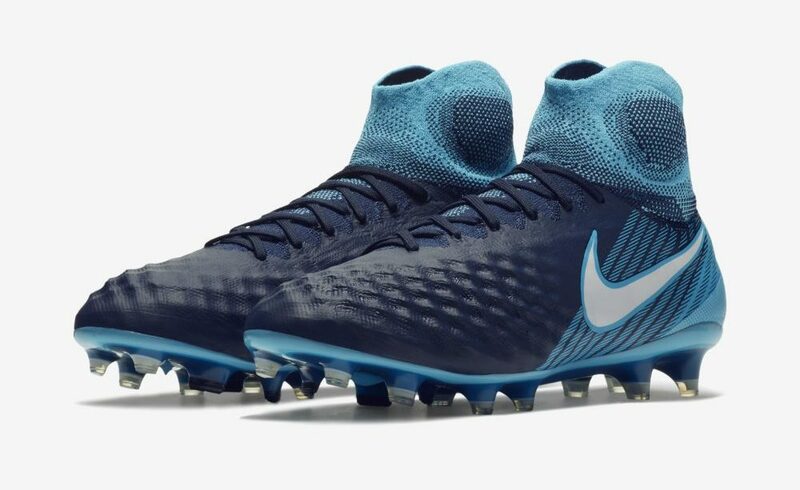 You can pick up the new Nike Fire and Ice boots online at Nike.